You ever have that feeling that someone is watching you? D-bug at soccer practice. When did he get so big?! 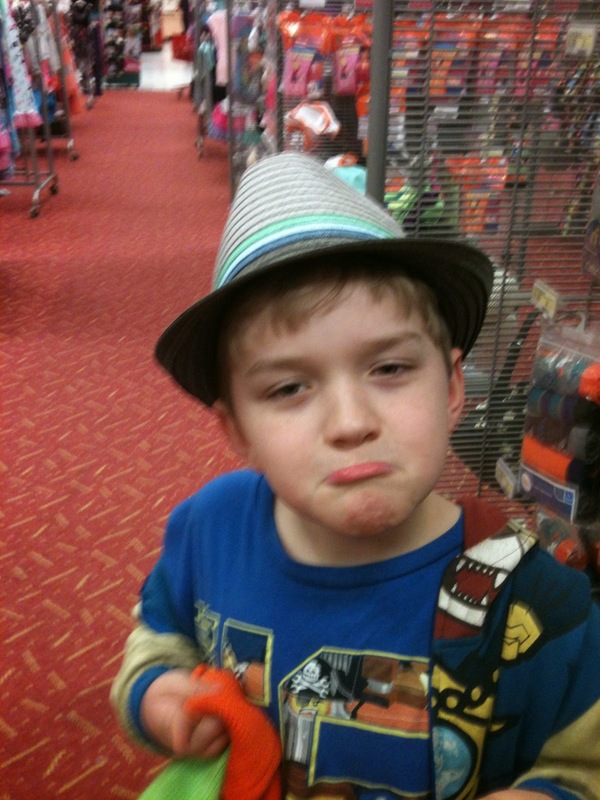 Typical trip to Target -- Beebee modeling the latest in millinery fashion. Georgie watching and waiting for her boys to come home (ignore my thumb's cameo).